This fragment of a postcard was shared with me by my cousin Michele Vettori, the great great grandson of the recipient, Augusta Spazzi, née Schiff. It was posted on the 13th [?] 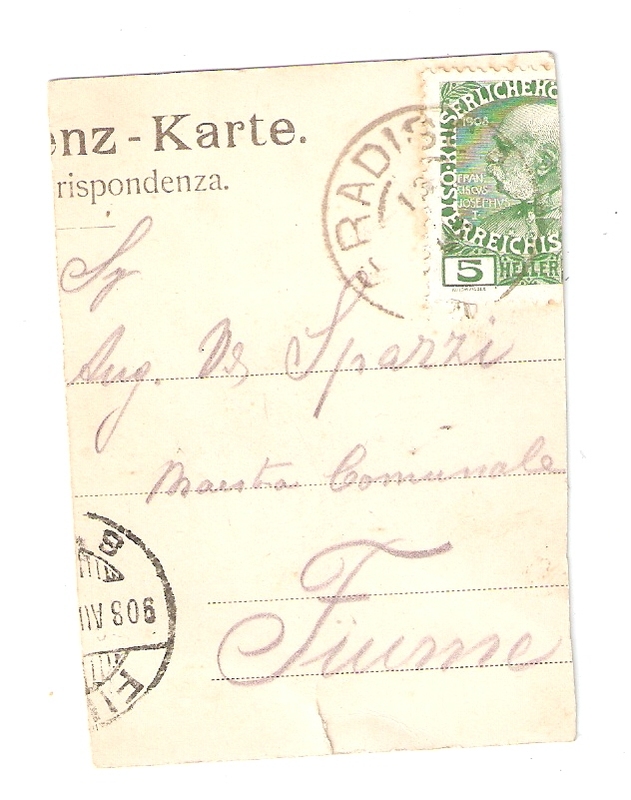 August, 1908 from Gradisca, then, as can be seen from the stamp, in the Austro-Hungarian empire, where it remained until the end of the First World War. 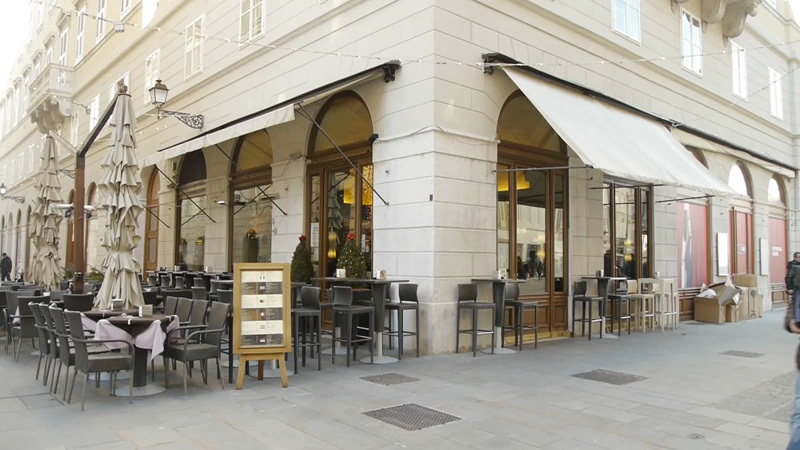 Gradisca was the home of Augusta's younger brother Federico. 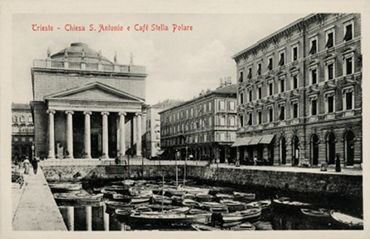 He was very much an italophile, and for this reason named the large and imposing villa that he had built at Gradisca 'Villa Italia'. 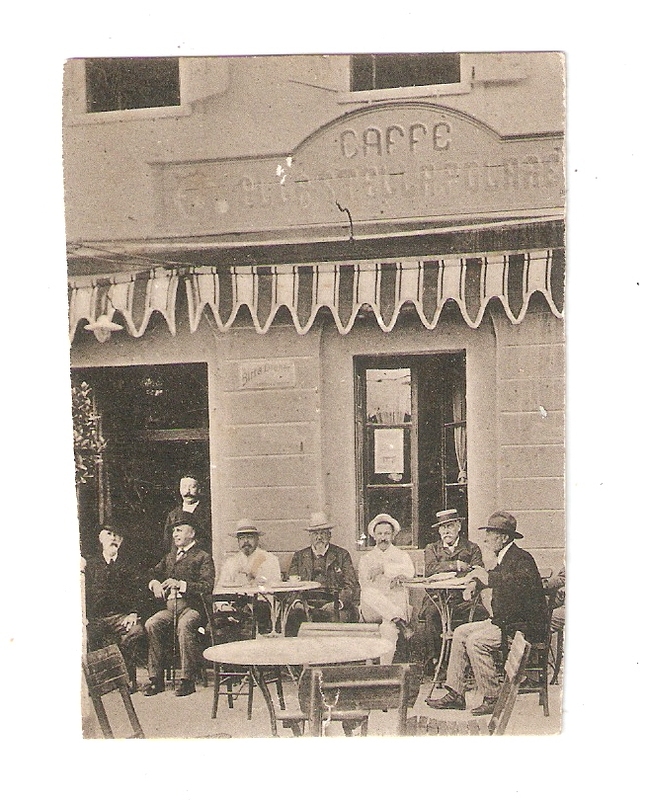 This photograph shows several gentleman sitting in front of a bar that is clearly Italian. If I were to choose one of these gentlemen to be my great great grandfather it would be the third gentleman from the left, in his panama and white jacket, wearing spectacles and with a neat, goatee beard, mostly because of his resemblance to photographs of his son Silvio, but of course I cannot be certain. 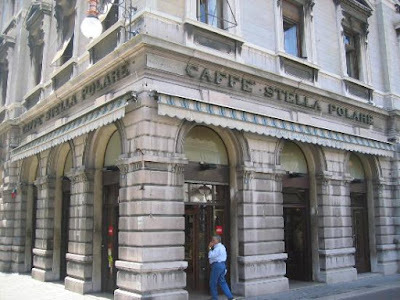 I cannot trace a Caffè Stella Polare in Gradisca, but there is a very well known historic Caffè of that name in Trieste, and it is indeed possible that the photograph was taken there, as be seen from the photographs below. 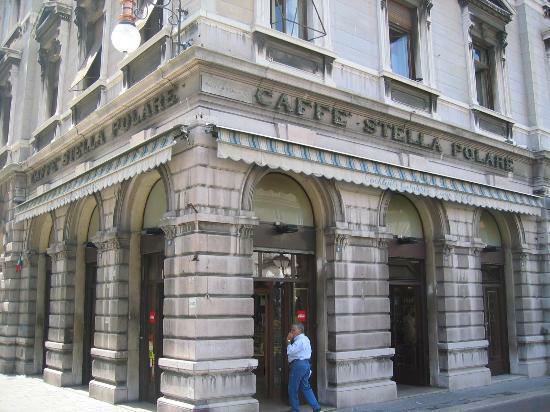 The Caffè Stella Polare overlooks the Canal Grande, as can be seen here. 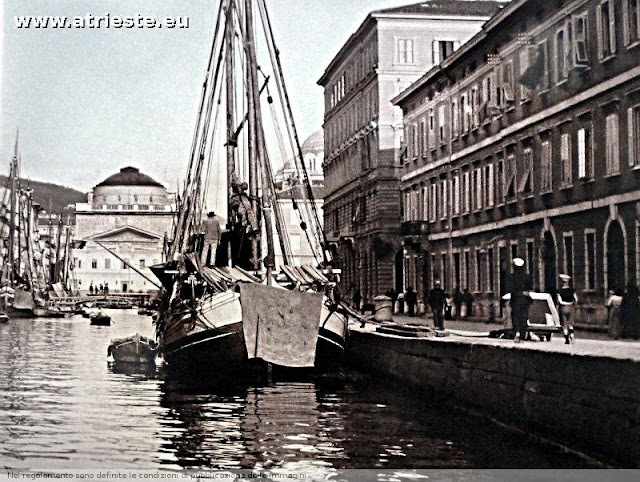 Paolina Schiff: La Pace Gioverà alla Donna?